Zee TV brings to you a cooking reality show that aims to entertain the audience with food, taste and a lot of marvellous cooking! So whether you are a home cook, a food lover, a chef or a food expert, register and participate in the show which will be judged by the best chefs of the country! 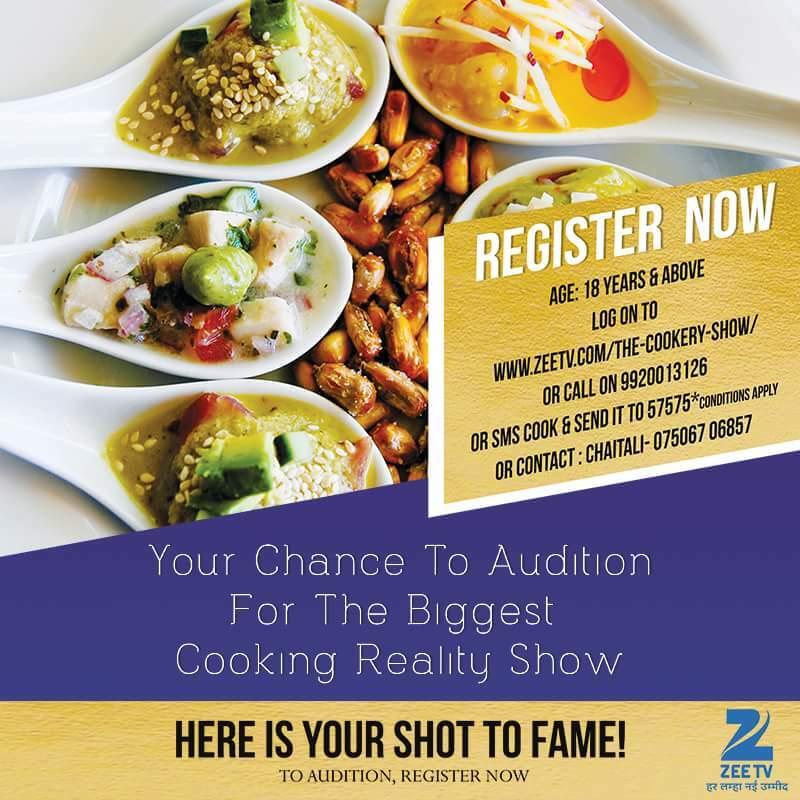 Zee Tv's 'The Cookery Show' initial rounds consist of a large number of contestants from across India individually auditioning by presenting a dish before the judges of show.